Narmada Winery shot to the top of my “must visit” wineries list in 2017. At the end of every wine tasting I asked the wine educators to recommend where I should go next. Narmada started coming up with surprising frequency. 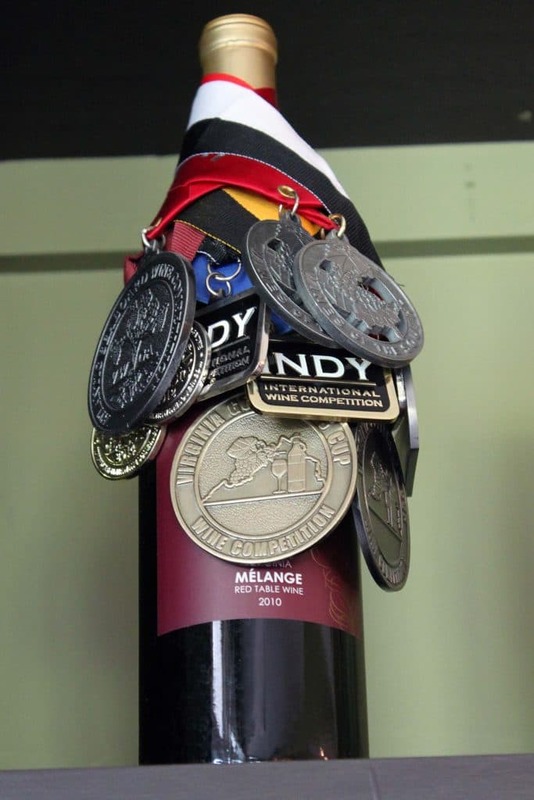 Once Wine Enthusiast awarded 88 points to their 2011 Mélange and 90 points to their 2011 Yash-Vir, I knew something good was going on–and I was missing out. Well, not anymore! 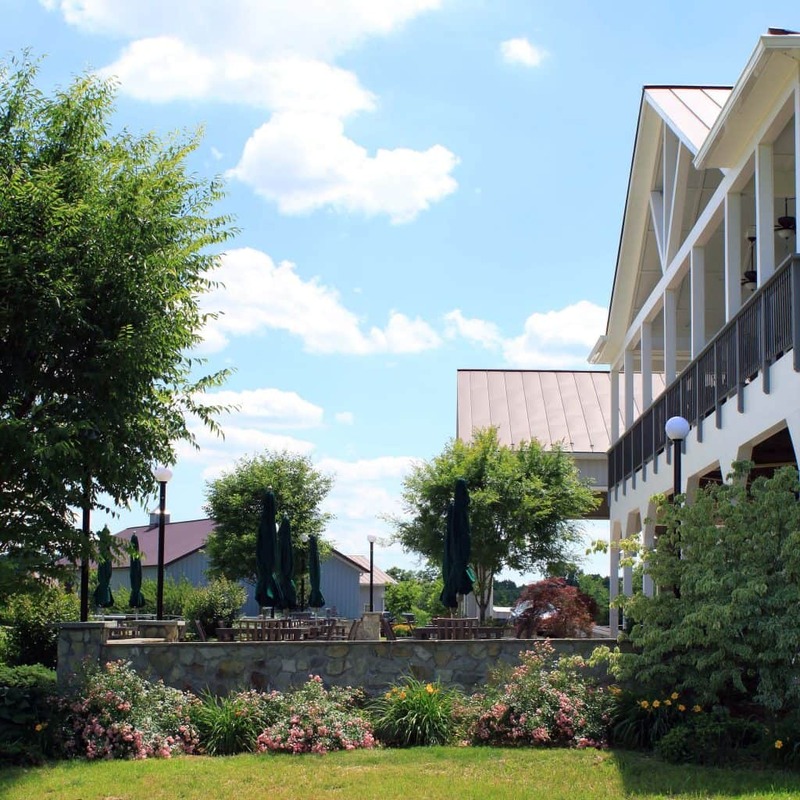 While only an hour ride from Arlington, you will feel a day away from the hustle and bustle of Washington. The ride to Narmada gets increasingly beautiful, more deeply serene, by the mile. 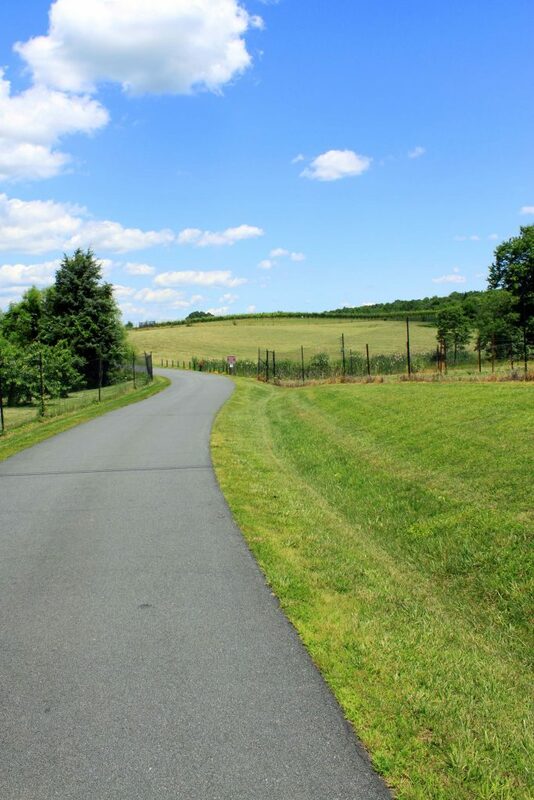 The rolling hills and layers of vine-covered knolls will bring your blood pressure down for sure. And by the time you get to the gate at Narmada, you know something great awaits. Narmada is spacious in every way. 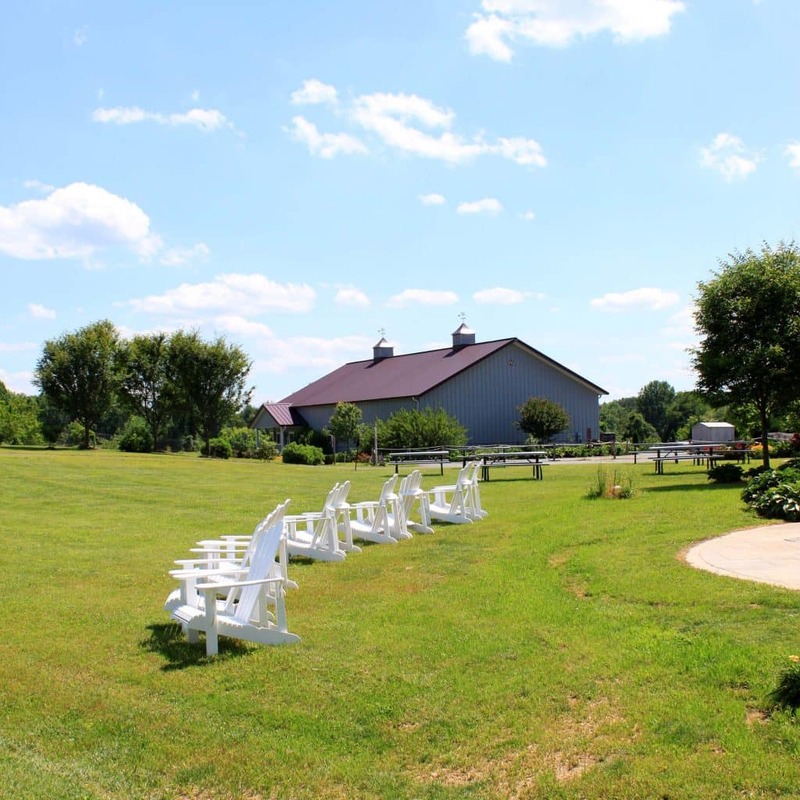 The tasting room and winery are large and clean, and the gravel parking lot can accommodate peak crowds during crush season. 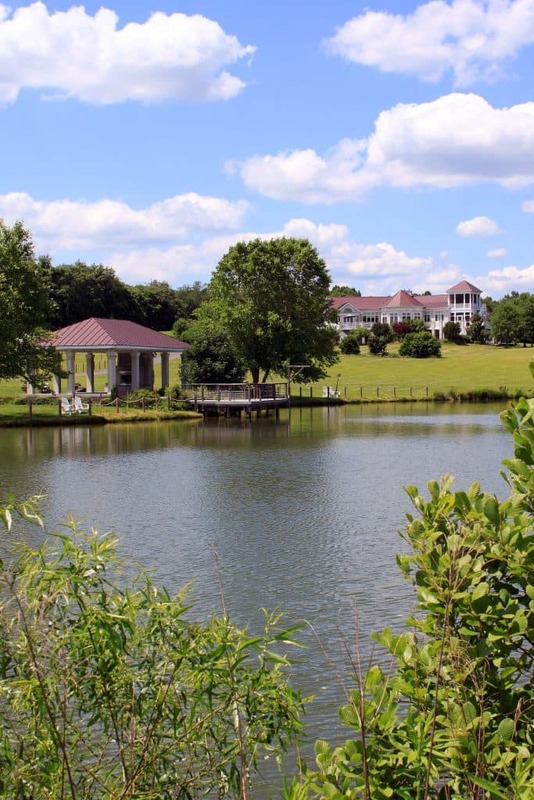 (They even have acreage for overflow). 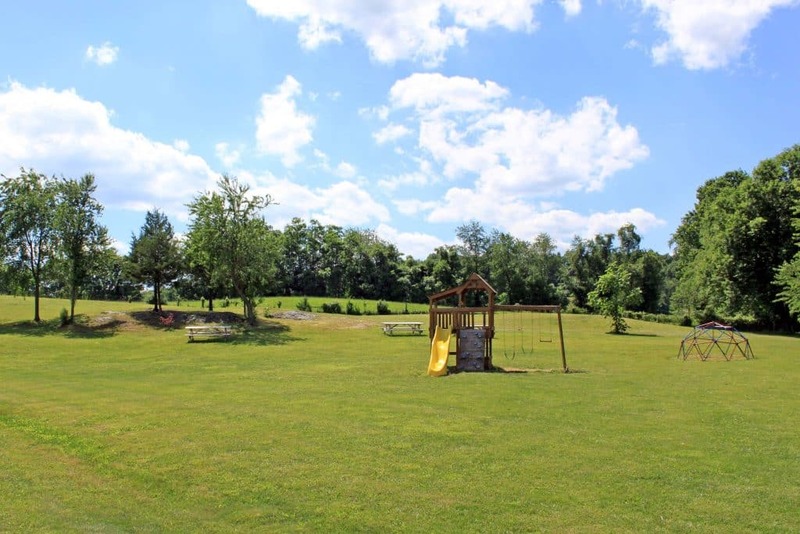 With acres of vines, rolling grassy hills and a large lake, there is plenty of space to make your own. 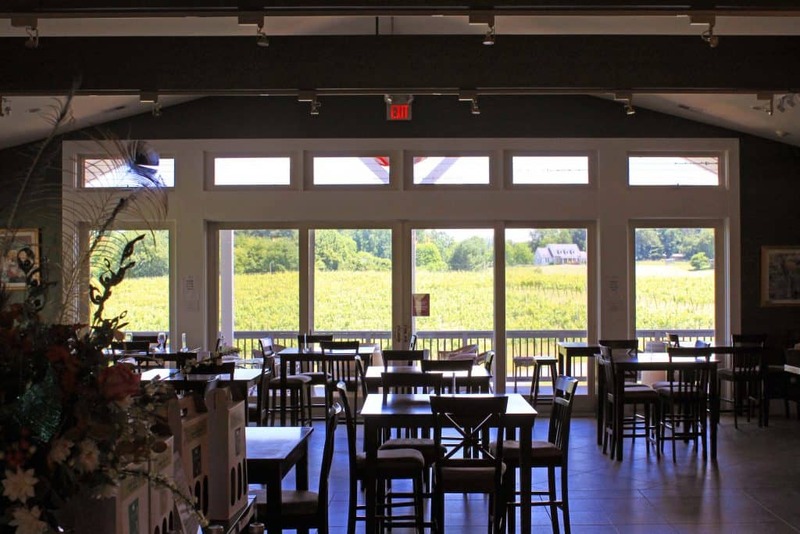 The tasting room is modern and clean as a whistle. Contemporary furniture and lighting make for a warm and cozy environment to have a tasting or crack open a bottle at a windowside table. 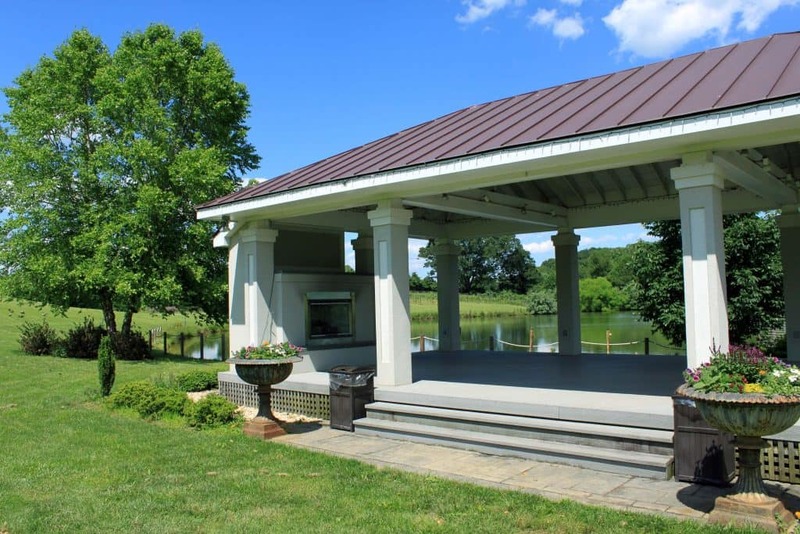 Upon entering, the event board will give you a sense of all their activities, from live music to lake fishing. 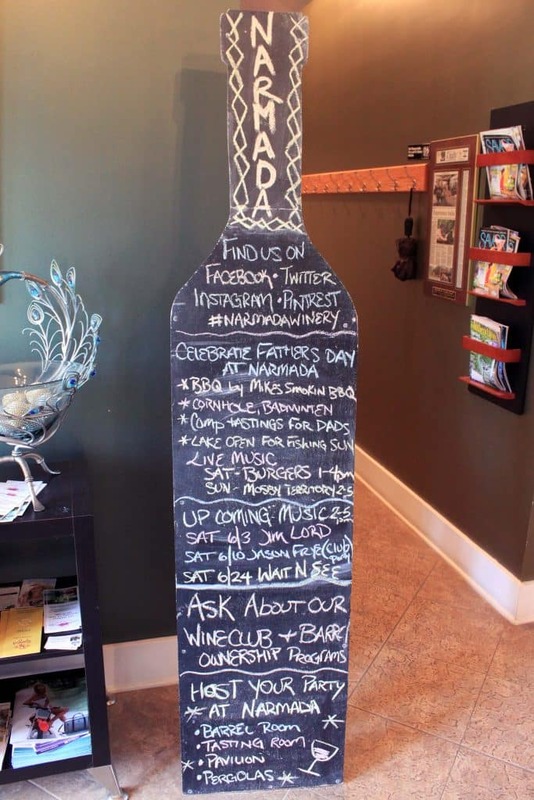 All of the folks at Narmada Winery are SO warm and welcoming. 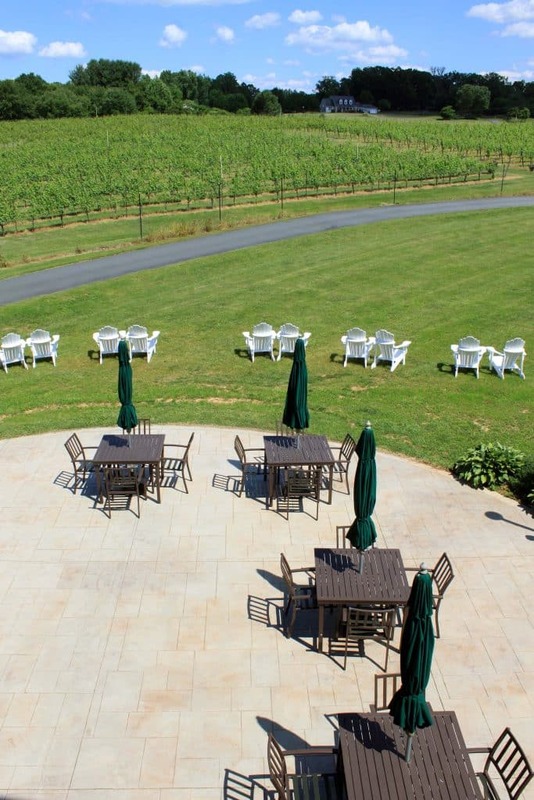 There is nothing pretentious about this winery, despite the world-class wines they are making. You will be made to feel at home from the moment you enter. I was honored to have Sudha Patil, the owner and winemaker, as my wine educator as well! Who better to give insight into the wines?! What a treat! Narmada is producing about 3,000 cases per year. 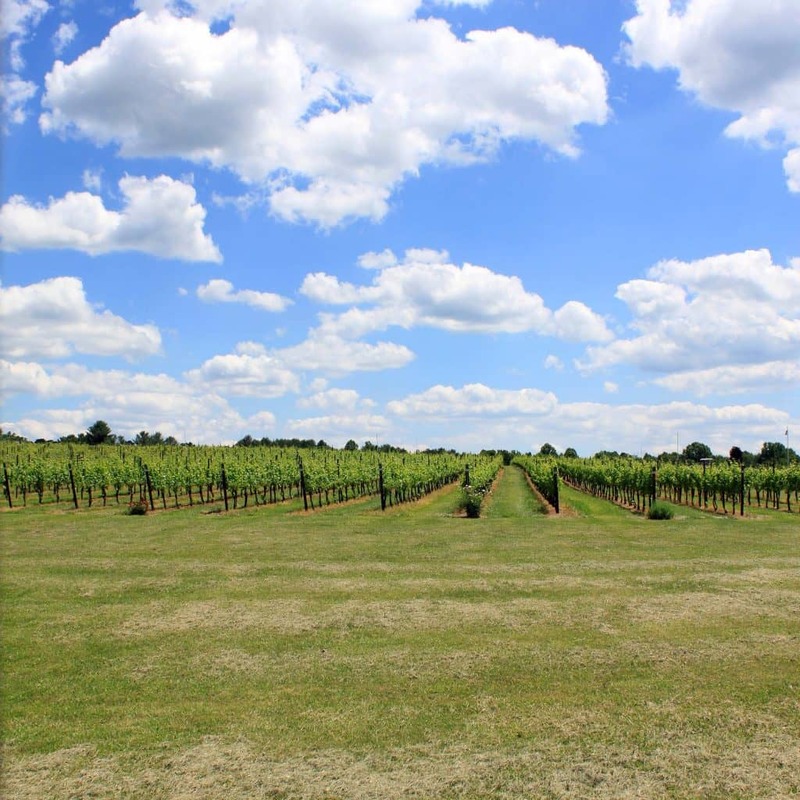 They are harvesting 10 varietals across 51 acres, with about 90% of the grapes grown right on site. Reds: 2011 Yash-Vir (Bordeaux Blend), 2011 Cabernet Franc. The price per bottle ranges from $27 to $36, with an average price of about $34. 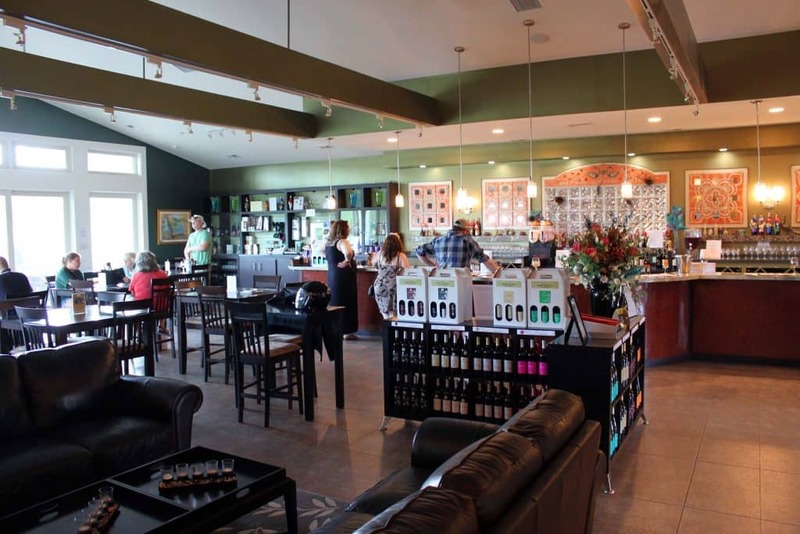 They do offer member discounts, as well as 10% discounts for 6 bottles and 15% for cases. Tastings are $10. Not since my visit to Paradise Springs Winery have I have been so impressed with a lineup from start to finish. Narmada’s Chardonel Reserve was out of this world. Truth be told I had never had one before, so comparing it to its peers was not possible. (If you don’t already know, Chardonel is a hybrid grape from Seyval and Chardonnay). I will say I found it even more appealing than the average Virginia Chardonnay or Seyval Blanc. I’m a believer! The wine was creamy with mango, with tropical fruits on the nose and palate. It was 90 degrees outside when I visited and it was the perfect fit. So too was their Viognier. Blended with Traminette, it produced hints of lemon zest on the palate and eased into a lightly spicy finish. On the red side, the Yash-Vir was a decadent treat. A nice balance of plum and wood on the nose and cherry and black pepper on the palate, with a gentle nod to licorice as it finished. So who got to come along for the ride home? 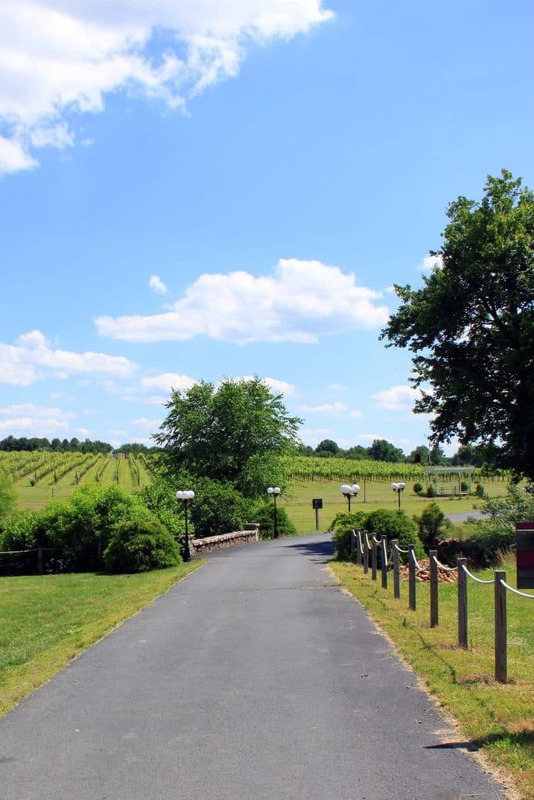 The 2011 Cabernet France Reserve, 2011 Yash-Vir, and of course the 2015 Chardonel Reserve (not to mention a glass for walking the grounds)! 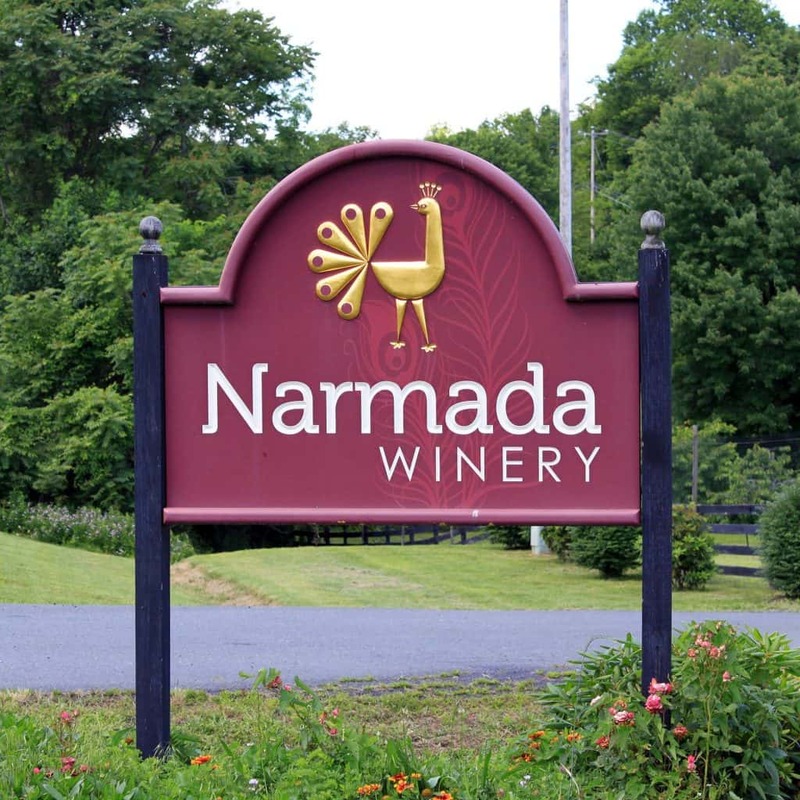 Narmada’s motto is Taste Virginia, Experience India. Watching as the food passed by to other folks in the tasting room, it was easy to get your flavin’ up. 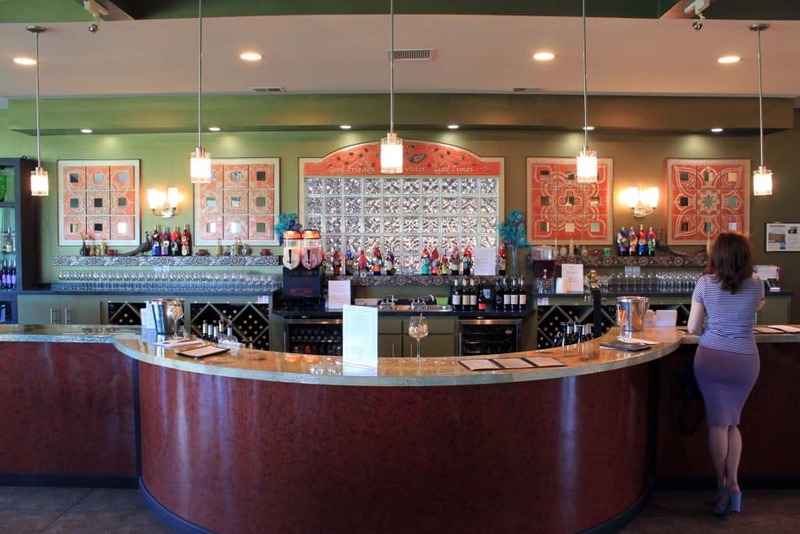 Not only do they have traditional snacks for wine pairing (various charcuterie and baguette), they offer Indian pairings as well, including Vegetable Korma, Vegetable Samosas, and Papri Chaat. Everything looked and smelled sensational. I’m already looking forward to a return visit! There is no shortage of space at Narmada. 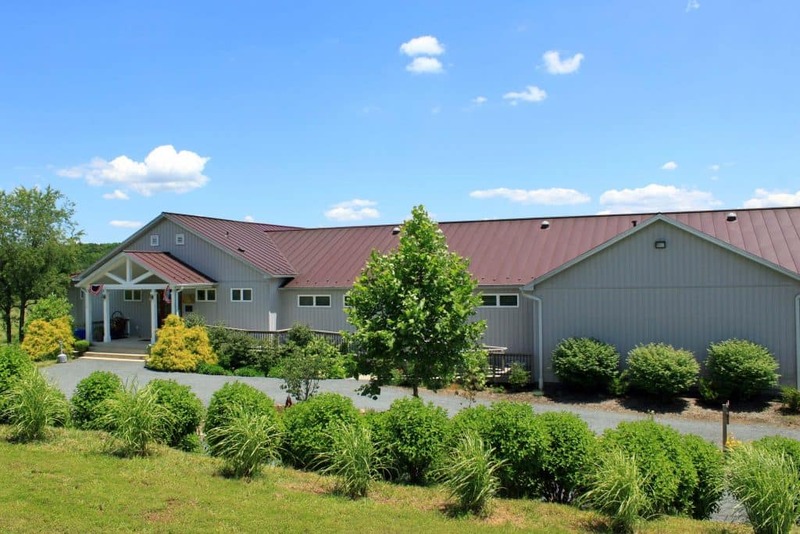 For a boutique winery they have the space and land similar to some of the largest wineries in Virginia. 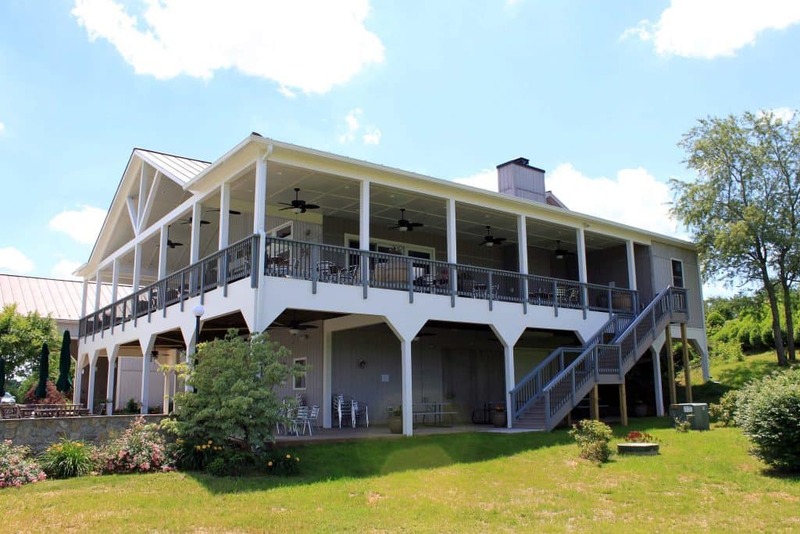 You can easily find a place of your own, from a cozy fireside lounge to decks overlooking the vineyard to open acreage to a farm lake. 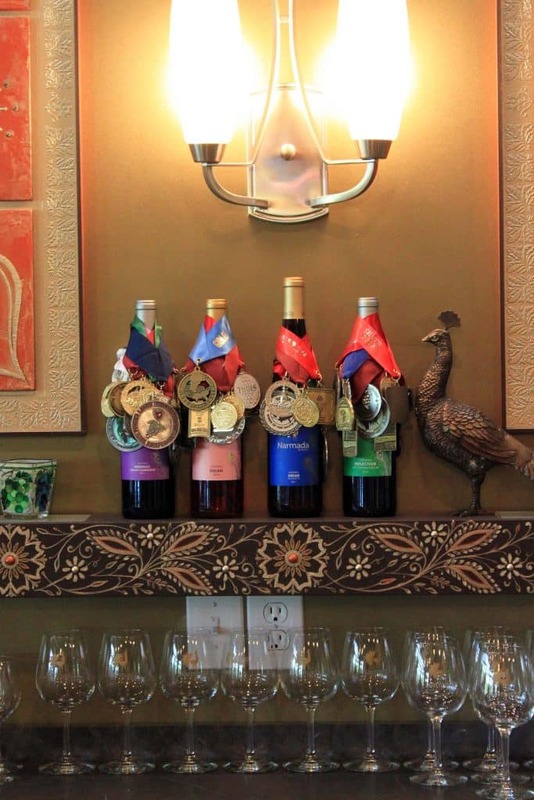 Narmada is not a winery where you just grab a quick tasting and go on to the next one. You will want to spend the day. 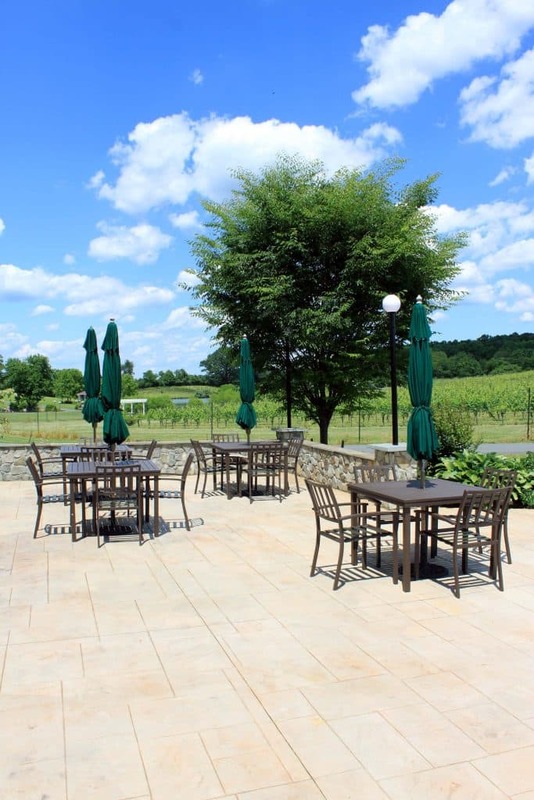 Plenty of tables and umbrellas are available on the lower patio by the vineyard and an arc of Adirondack chairs for sipping and visiting with friends (or just soaking up some of that Virginia sun). Under the deck are more tables and chairs in case you find you’re visiting on a rainy day or simple seek shelter from the sun. 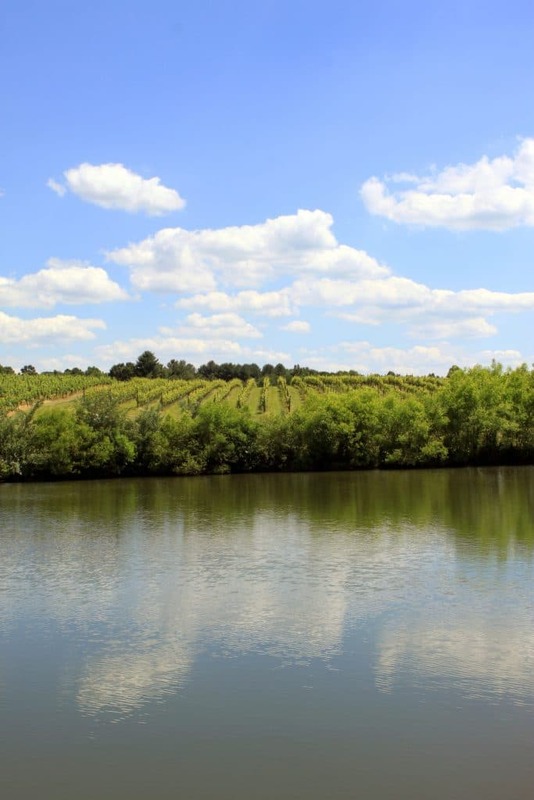 But before you leave, I highly recommend a walk down the lane to the lake overlooking the vines. 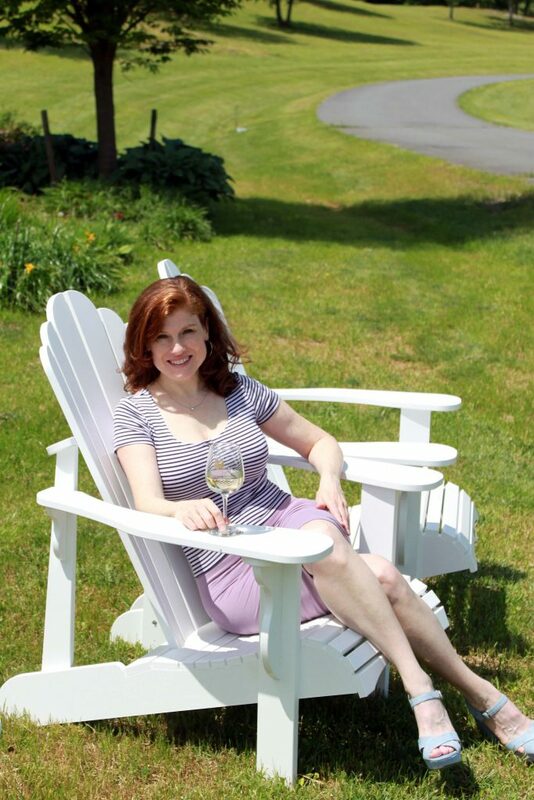 Such a quiet and soothing scene, designed to be painted and hung on your wall. 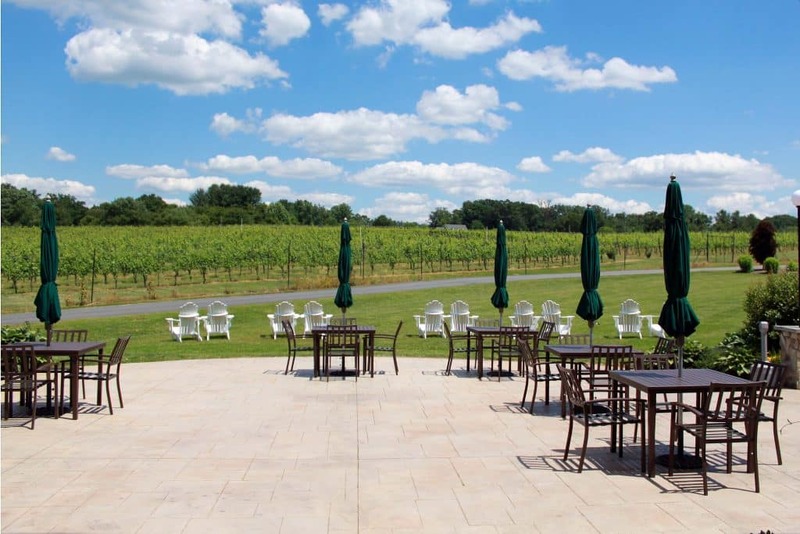 Narmada is not only a family-friendly winery, they’ve dedicated acreage to picnic tables and playground equipment so the little ones can get out and about while you relax and enjoy their elegant wines. A score for mom and dad! Narmada is large enough to host weddings and other sizable events. 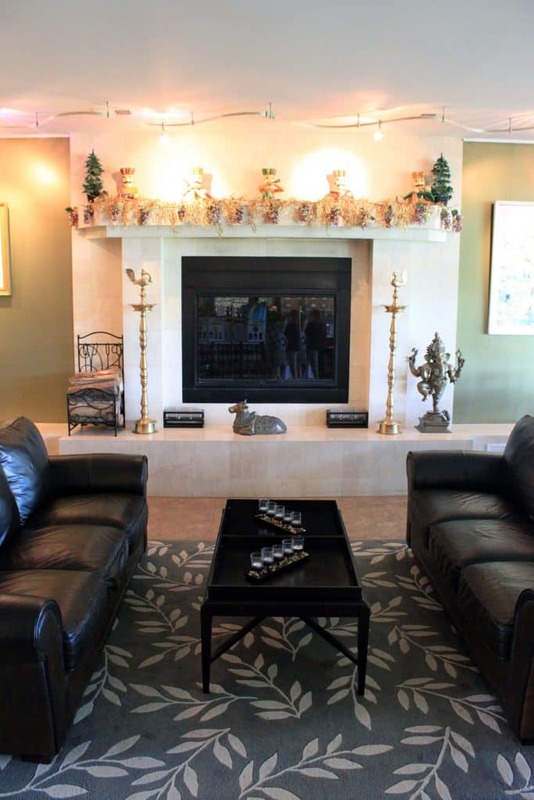 By the lake, they have a covered patio with a fireplace for that special gathering. Your friends and family will love you! 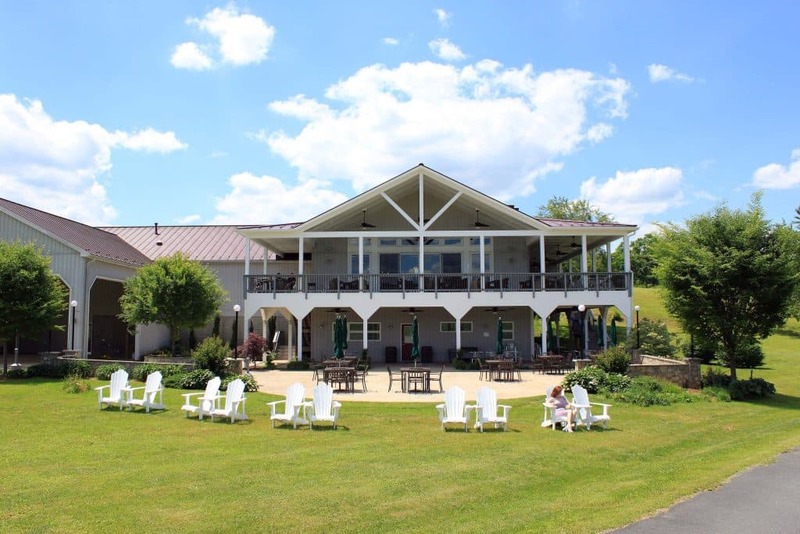 The land, the tasting room, the food, the lake, and–most notably–the wines. Five solid reasons to check them out. 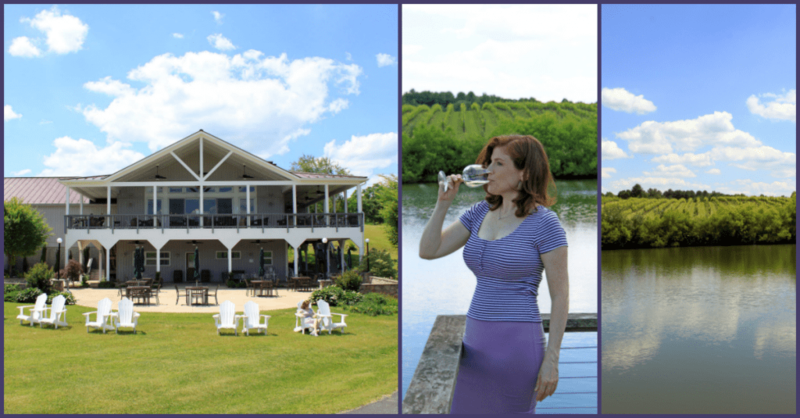 Having visited dozens of wineries in Virginia, I can attest that Narmada is on the finest you will find. Cheers. 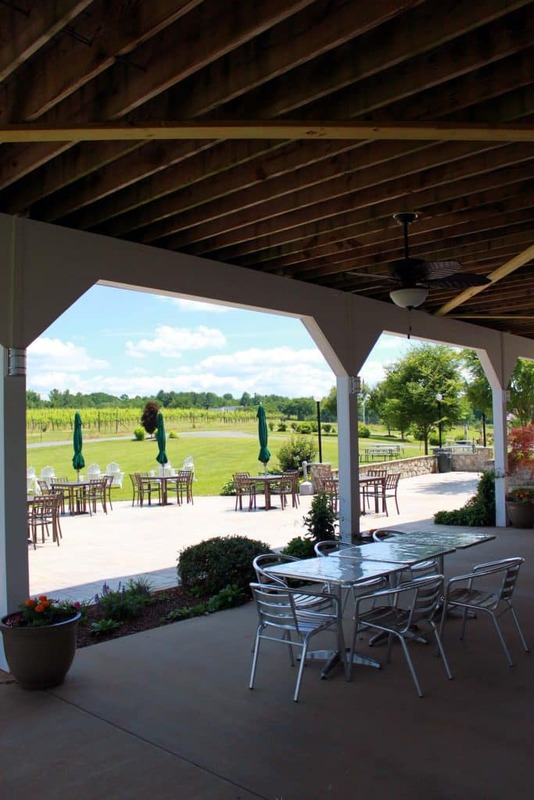 Visit Narmada Winery, located at 43 Narmada Lane, Amissville, Virginia. 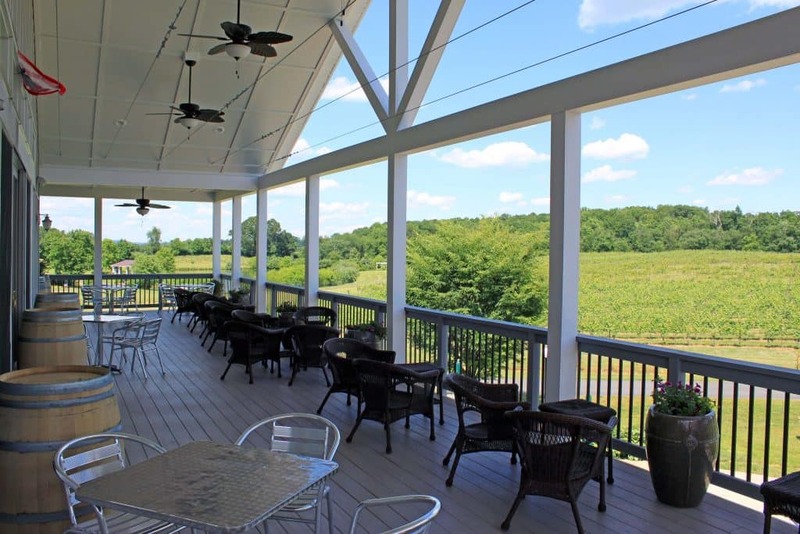 Looking for another Virginia winery with tasty vinos and fresh air for your lungs? 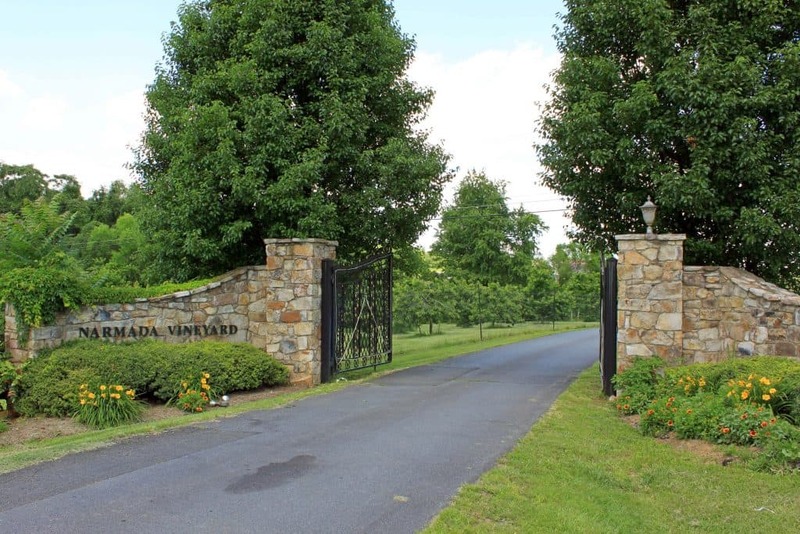 Check out Barrel Oak Winery in Delaplane, Breaux Vineyards in Purcellville, and Barboursville Winery in Barboursville. 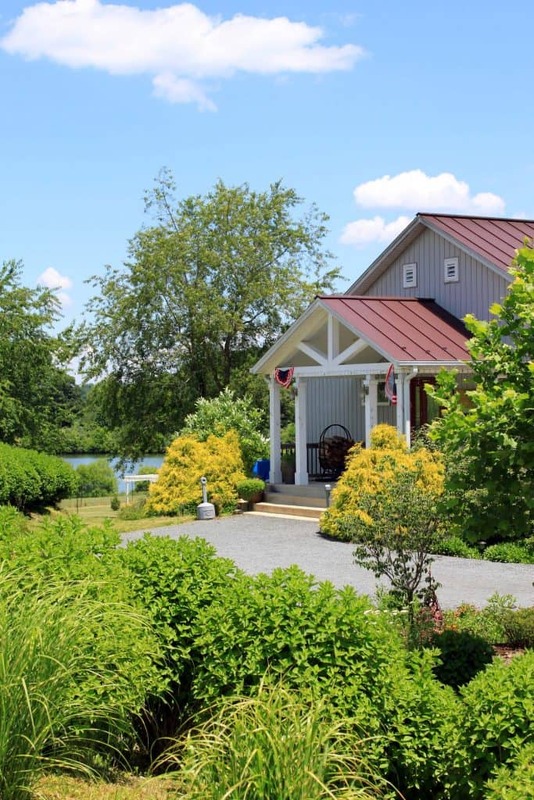 Or if you want to take in a full farm from cats to horses, check out Aspen Dale Winery in Delaplane.